Last week, the Institute for Fiscal Studies (IFS) reported social care spending has been protected more by the Welsh Government than its English counterparts in the last five years, and vice versa when it comes to allocating funds for the health service. This may add fuel to the pre-election debate, which some say has seen the Welsh NHS bandied about Westminster like a ‘political football’. But for Mark Drakeford, health and social services minister in Wales, it wasn’t about protecting one service over the other. “The whole argument about where the money lies between these two budget lines is of absolutely no significance to the person receiving services because they rely on help from both social care and health,” he says. The IFS report does however highlight the differing decisions made by the two governments since 2010, a period during which the Welsh Government has used legislation actively to shape services. The country has seen measures to reduce care charges, improve support for carers and create integrated teams to support families in need, as well as the landmark Social Services and Wellbeing (Wales) Act 2014. Due to take effect on 1 April next year, the legislation will overhaul the way children’s and adults services are delivered. “Our first impression going through responses to the first tranche of consultation is that people are supportive of the thrust of the act and of its ambitions,” says Drakeford. One of these issues is the plan for new eligibility criteria for care, where local authorities must consider what could be done to meet a person’s needs, and then determine whether any of the needs meet the eligibility criteria. These set out that a person will be eligible if an assessment establishes they ‘can and can only’ overcome barriers to wellbeing by the local authority providing them with a care and support plan and ensuring it is delivered – otherwise known as the ‘can and can only’ test. If a need can be met by the person themselves, a carer or through community services, then they will not be eligible. Some critics have argued that the draft guidance on eligibility, consultation on which closed this month, appears to be adhering to the principle of just doing ‘the minimum necessary’ for people in need of services. But Drakeford insists the act is not ‘bereft of rights’ for people with needs and the approach embodies a more strengths-based view of people. “I come from the position of being a huge supporter of the welfare state but I think we have tended to mistake quantity for quality and focused less on outcomes and impact,” he says. This new approach to assessment of need and eligibility will mean challenges for social workers, but Drakeford is hopeful it will enable them to move back to some of the tasks he remembers from his own social work training. “You are aiming to work in a preventative way and create the conditions in which a person can successfully live their life, rather than always having to intervene in a crisis,” he says. As is the case in England, practitioners will also move more and more towards integrated ways of working by being repositioned in multi-disciplinary teams. The Welsh act places a duty on councils to promote cooperation with other services, including local health boards. A local authority should exercise its social services functions to ensure the provision of care and support is integrated with health services, where this would promote the wellbeing of children, adults and carers. The Welsh Government is clear, however, that social services will continue to remain a proper function of local authorities, rather than merge with the health service. “Every time we’ve looked at it we’ve come to the conclusion that an awful lot of what social workers need to be able to draw on are the services provided by local authorities, and you’re in a better position to do that if you’re inside the local authority family,” says Drakeford. The minister isn’t drawn to comparisons – devolution is all about learning – but the one fundamental difference between social care reforms in the two countries is the approach to self-directed support. While the English Care Act champions personal budgets by making them mandatory for anyone whose needs are being met by the local authority, they are not mentioned in the Social Services and Wellbeing (Wales) Act. The Welsh legislation does further personalisation, by extending the circumstances in which direct payments can be provided, including other forms of support such as residential care, and to individuals who are currently excluded, such as those with substance misuse issues. But Drakeford is clear the Welsh administration takes a different approach to choice and personalisation, one that allows for local authorities commissioning services for people. 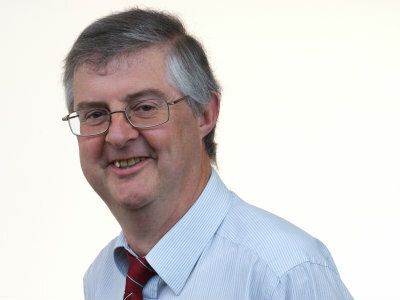 “In the English discourse there is always a rather sniffy sort of belief that people who choose to take budgets for themselves are making active choices, and those who choose to rely on collective services are people who haven’t made a choice,” says Drakeford. This is further reflected in the Welsh approach to the social care market provision, where there is no belief in competition as the best way to bring about public service improvement. Where the Care Act obliges English councils to promote a diverse market in care provision, Welsh legislaton places a duty on authorities to promote the development of cooperatives, social enterprises and other third sector services – and not the private sector. This is a better direction for social work and social care when the people with the greatest needs are at the front of the queue, provided that the criteria is not set unreasonably high due to lack of resources. I have not thought of moving to Wales but it is definitely worth considering.